I have a deep love for lemony desserts. Lemon cheesecake, lemon sorbet, lemon tart, lemon anything really. 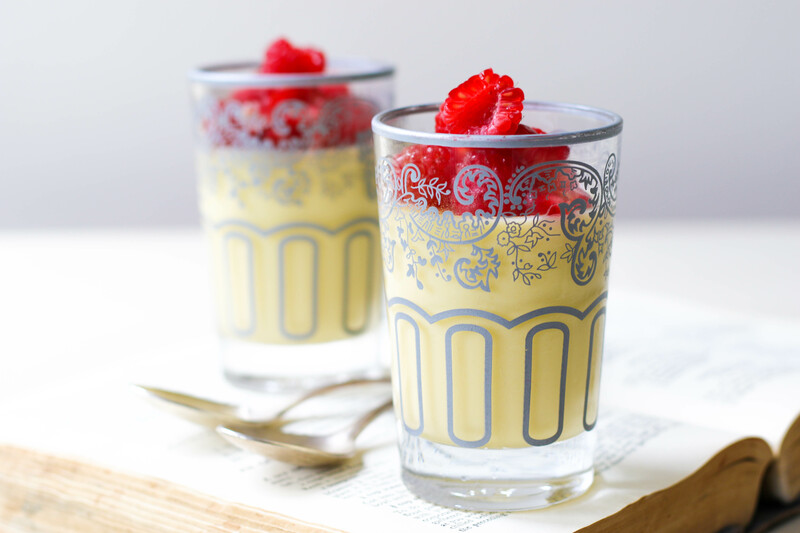 Lemon posset delivers a seriously tart and tangy smack of lemon and a creamy luxurious velvety texture on the tongue. It’s ever so satisfying. Not only is it a pleasure to eat but it’s a pleasure to make. Three ingredients. Yup that’s it. Lemons, cream and sugar. It’s also excellent for weeknight dinners and superb for dinner parties as you can make it the day before and leave it to set in the fridge overnight. Always be the host with the most- make sure you don’t spend all night sweating in front of the stove while your guests stare at you with growing concern and hungry eyes. Just simply pull it out the fridge when you’re ready to serve and dress it beautifully. I would recommend making homemade shortbread biscuits and getting seasonal fresh berries to serve along side the possets. The biscuits can be used to scoop and dip into the vibrant, lemony cream. Ginger biscuits would also work beautifully- just be sure to shape/cut your biscuits into shortbread like fingers so you can use them as an edible spoon. If you want your posset to set a tad faster go for a Champagne coupe style glass that is wider and will spread the liquid out more thinly. And seriously- try resist licking the spoon. And jug and sieve and anything else with this mixture on it. I barely needed to wash any dishes… Whoops. 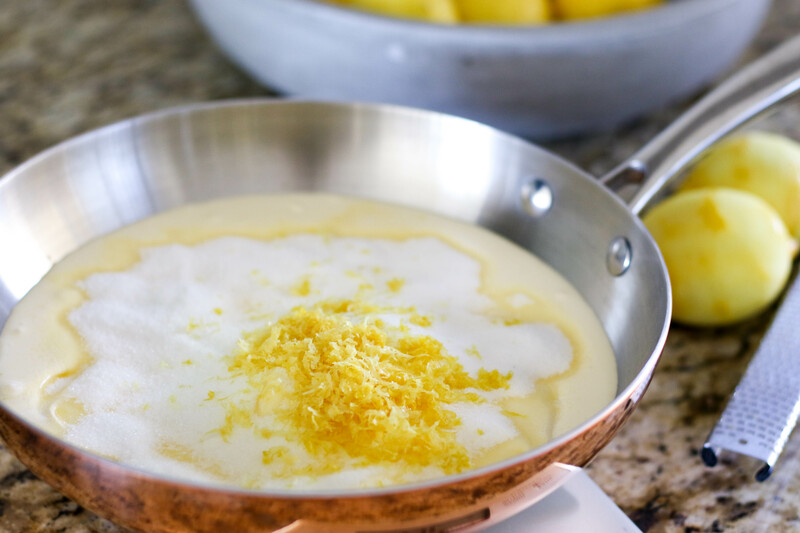 Place cream and sugar in a sauce pan and grate the zest of all three lemons into the pan. Put on a medium-high heat and allow the sugar to dissolve. Once the cream has come to the boil let it simmer for one minute. Remove the cream from the heat and whisk in the lemon juice. You will notice it will begin to thicken immediately. Pour your mixture through a fine sieve and into a little jug with a pouring spout. If you have any foam or bubbles on the top of your mixture just skim the top off. 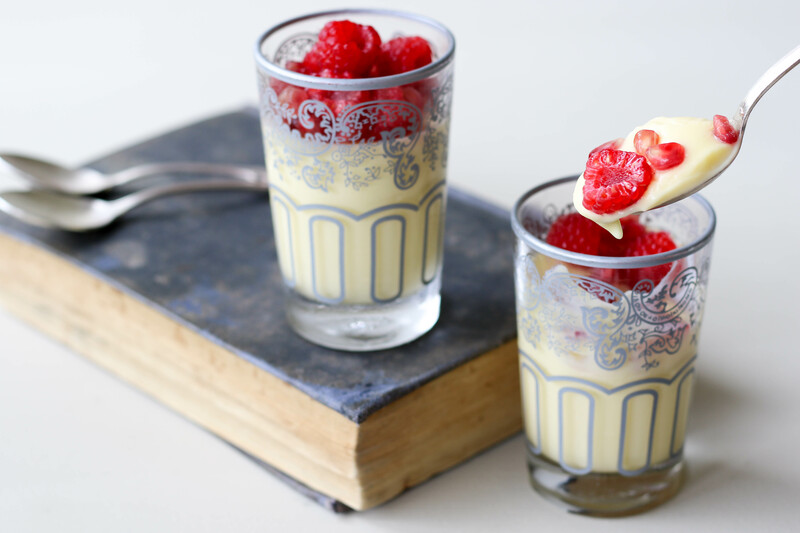 Pour the posset mixture into six little glasses and place in the fridge overnight or for a minimum of 6 hours. 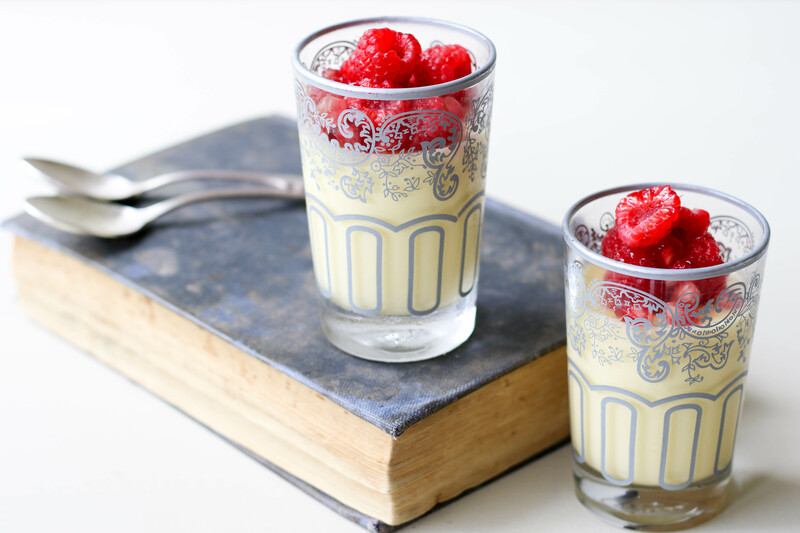 Serve with fresh berries, coulis and shortbread fingers. 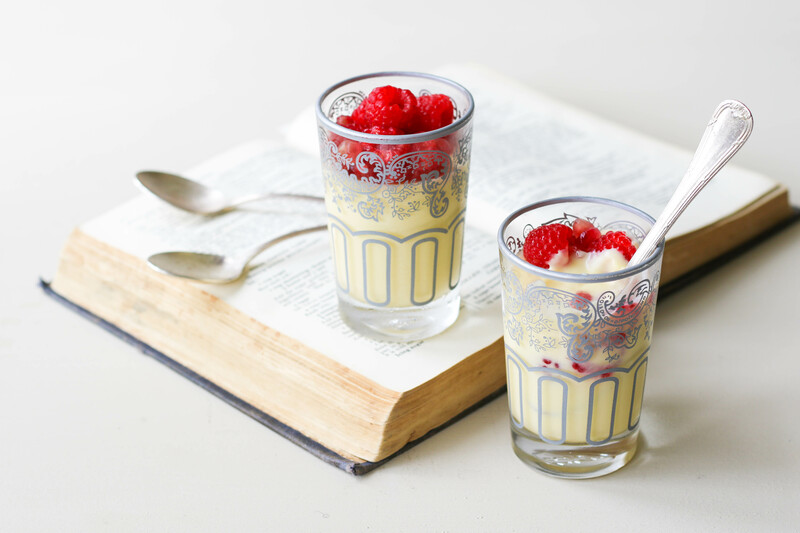 Hi there, I have tried making possets this way and it does not set, I eventually used gelatin. Can you kindly advise how well this sets without gelatin ? Where do you buy your cream the big W ? Hi Johan! Indeed it doesn’t set firm like a panna cotta or something similar. You’ll see from the pic with the spoon out how the texture is… it’s ‘set’ but fairly loose. I would definitely include gelatine if you want something firmer. I do love this texture though. It’s especially good for swiping some shortbread through it! 🙂 And yes I do buy my cream from the big W! Someone once told me to use ‘organic’ lemons and it will set better but I tried that and the firmness remained the same. Happy cooking! Greatest pleasure! 🙂 Play around with the gelatin… you could even cut a sheet in half until you get the setting consistency you’re looking for! Also- having made this a few times I now use a much more shallow vessel. 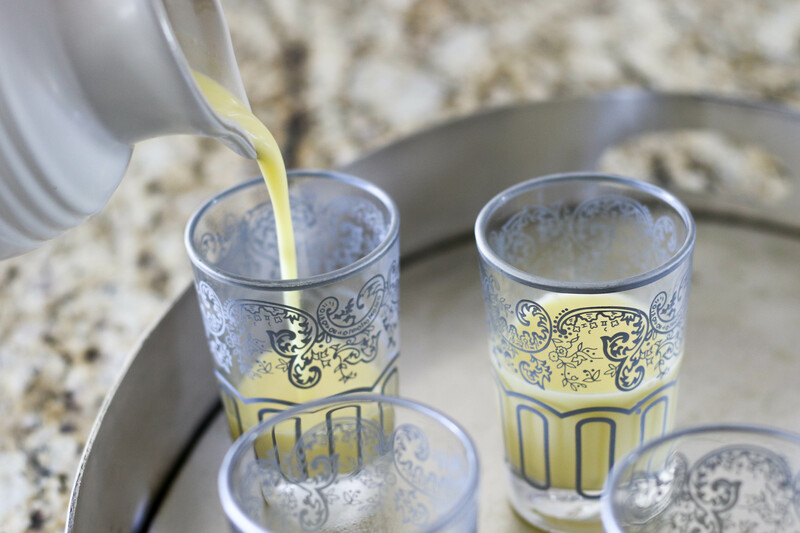 I’ve been using old school Champagne coupes. They’re wide and not very deep and this helps with the setting too! Good luck!